Thalian Association Community Theatre is a non-profit, membership organization that’s dedicated to enhancing the rich artistic environment of the Cape Fear region. 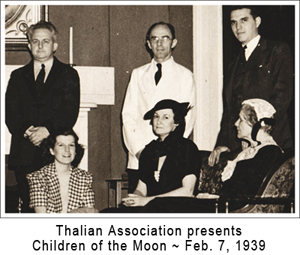 Tracing its roots back to 1788, the Thalian Association Community Theatre was founded to provide arts education and bring the excitement of the performing arts to Wilmington, North Carolina. Today the Thalian Association Community Theatre produces five major productions annually on the Main Stage at historic Thalian Hall, offers a Youth Theatre program and professionally manages the Hannah Block Historic USO/Community Arts Center for the City of Wilmington. In 2007, the North Carolina legislature named the Thalian Association Community Threater the Official Community Theater of North Carolina. 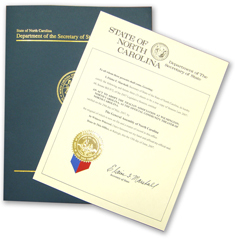 In an official ceremony held in Wilmington, Secretary of State Elaine Marshall emphasized that our organization’s prestigious title was not a distinction given lightly. Members elect the volunteer Board of Directors for the Thalian Association Community Theatre, and our Board elects our officers. Salaried positions include: Executive Director, Artistic Director, and Community Arts Center Director/Operations Coordinator, with all other manpower coming from scores of loyal volunteers. Membership in the community theatre organization is enjoyed by hundreds of Wilmingtonians as well as patrons from throughout the region. Thalian Association Community Theatre produces five major productions annually on the Main Stage at historic Thalian Hall. In fact, Thalian Hall was proudly named for our organization in 1858. Our mission is to present quality live theater that illuminates the human experience for the citizens of Wilmington, New Hanover County and beyond. All of our productions are cast through auditions which are open to the general public. Through the years thousands of local actors, directors, choreographers, conductors, musicians, designers and technicians have enjoyed the opportunity to develop their craft working with the Thalian Association Community Theatre. We were voted Wilmington’s Best Theatre Company in 2006 by the readers of Encore, the Cape Fear guide to arts and entertainment and have since reclaimed that title for many subsequent years. Our Youth Theatre was founded in 1979 and offers training and performance opportunities for children ages 7 through 18 or high school seniors. Young people may choose to be involved on stage as actors, in the orchestra pit as musicians, or back stage as a part of our design and production team. Auditions are open to all children aged 7 through high school seniors, unless otherwise noted. Our mission is to teach life skills through theater education and provide an outlet for artists and technicians to develop and exercise their crafts. Thalian Association Community Theatre has managed the Hannah Block Historic USO/Community Arts Center for the City of Wilmington since 1994 and offer rehearsal and classroom space at little to no charge for visual & performance arts as well as partnering with other organizations for community events. Every year we host the North Carolina Azalea Festival Children’s Art Contest and the North Carolina Official Juried Art Show presented by the Wilmington Art Association. In 1995 we launched the Orange Street ArtsFest to promote downtown Wilmington and the Community Arts Center. Held every Memorial Day weekend on Orange Street beside the Community Arts Center, this beloved festival has become the largest arts festival in the region. Artists throughout the southeast exhibit oil and watercolor paintings, pottery, jewelry, sculpture and paper creations. Performing art is another staple at the popular street fair with entertainment provided by local musicians and Thalian Association Community Theatre performers and all artists who perform in the Community Arts Center.